ARCS® Foundation Utah sponsors six to eight events each year that reflect members’ interests in lifelong learning. Activities are often held at research sites, and members frequently are invited on tours that are not available to the general public. In addition, we attend relevant public lectures as a group and hold social gatherings. Here is a closer look at some of our activities. ARCS Members and guests enjoyed a wonderful gathering at the home of member Tricia Schumann. This social event has become an ARCS Utah tradition and was well attended by members, potential members, students and guests. 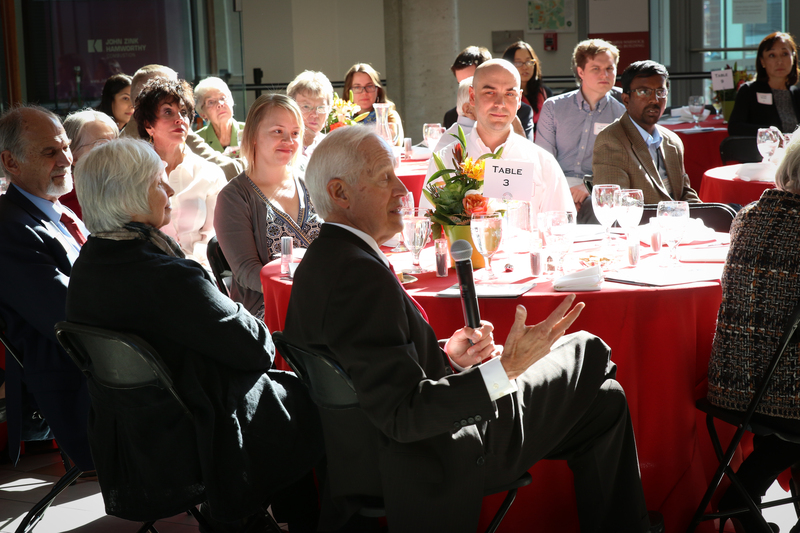 The annual Scholar Award Luncheon was held in the Catmull Gallery in the Warnock Engineering Building at the University of Utah College. 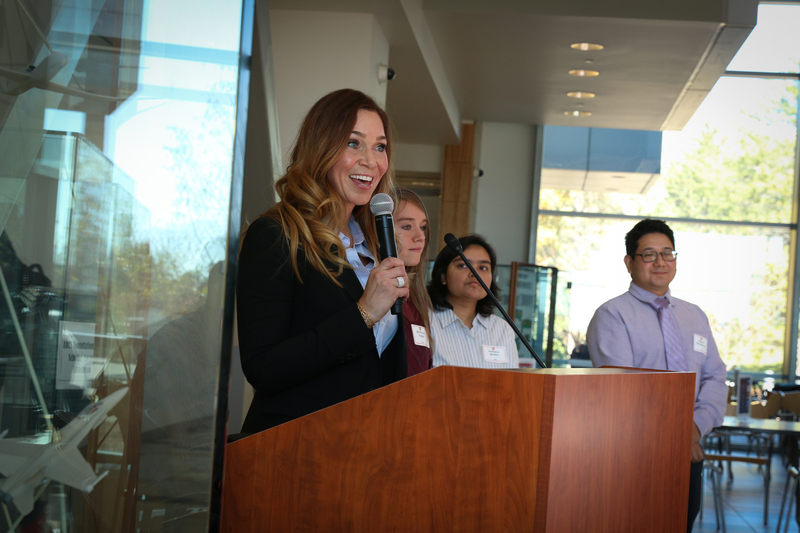 Scholars this year are Alex Jafek, Department of Mechanical Engineering, Marcus Perry, Department of Materials Science and Engineering, Amanda Reynolds, Department of Bioengineering (our Utah Roche Scholar) and Rebekah Gensure, Department of Opthalmology. In addition to recognizing these awards, the event featured a panel of previous ARCS Scholars. Also speaking were Dr. Rich Brown, Dean of the College of Engineering, Dr. Randy Olsen of the Moran Eye Center and Laura Springhetti, President of ARCS Utah. Gretchen McClain shared her insights on the value of creating technologies that have come from our space programs, as well as the many other advances that the space exploration has contributed to business and society – from the ways we innovate and problem solve, to the ways we create social value and collaborate. She shared her experiences overseeing the first joint U.S. - Soviet missions and the building of the International Space Station, and serving as a top business executive, where she saw space technologies and problem solving advance global business and improve our way of living. She also discussed critical questions on the future of space exploration. McClain is actively involved in advocating for the technology, water, and environmental spheres, as well as women in STEM. 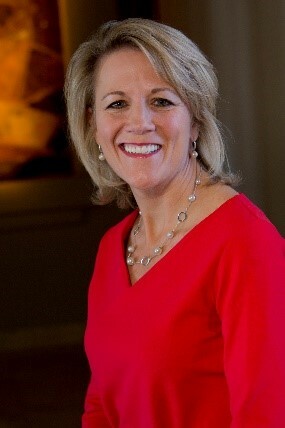 She serves as a member of United Technologies Corporation Innovation Advisory Council; University of Utah College of Engineering National Advisory Council; the Environment and Water Technologies International Advisory Panel for Singapore’s Public Utilities Board; and the America’s Water Steering committee at the Columbia Water Center at Columbia University. She also serves on the Board of Trustees of the Intermountain Healthcare Central Region. 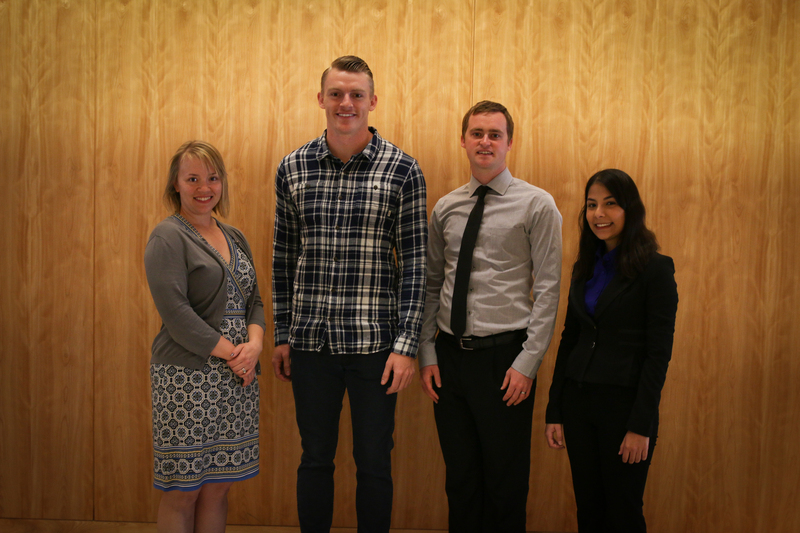 A graduate from the University of Utah with a Bachelor of Science in Mechanical Engineering, McClain received the University’s prestigious Founders Award in 2015. She was inducted into the Utah Technology Council Hall of Fame and is the first woman to have received this honor. On Tuesday, April 5, 2016, the ARCS Chapter members were treated to a tour of the James L. Sorenson Molecular Biotechnology Building prior to a featured lecture given by Dr. Matthew Might, University of Utah Associate Professor of Computer Science. Dr. Might is also an Adviser to President Obama’s Precision Medicine Initiative, and spent time at Harvard Medical School as a Visiting Associate Professor in Biomedical Informatics. He conducts research on cybersecurity, scientific computing and medical robotics on behalf of the Department of Defense, the National Science Foundation and the National Nuclear Security Administration. He received the 2014 University of Utah Presidential Scholar Award, and also received a CAREER Award from the National Science Foundation. Dr. Might’s presentation focused on his research on genomic diagnostic techniques for undiagnosed patients and on algorithmic treatment strategies for genetic diseases. The title of his presentation is “An Algorithm for Precision Medicine: What do you do when you’re the first and only?” He shared with us his personal connection to this research – his son is the first N-Glycanase (NGLY1) – deficient patient ever discovered. He described in detail the research he conducted to determine his son’s condition. He is now President of NGLY1.org, a foundation dedicated to understanding, treating and curing the disorder. Dr. Might’s son is making progress, which the audience could see from the photos that were shared. 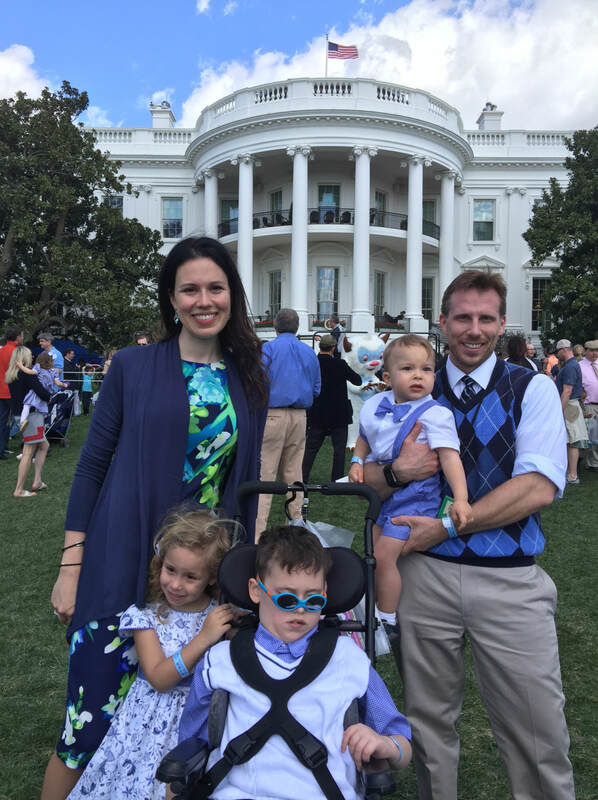 The Might family has made connections and meet annually with other families across the country who have children with this rare disorder. At the end of his presentation, Dr. Might graciously responded to questions from the audience. He was given a standing ovation for his excellent presentation and work.